Dust is everywhere—even in your house's ductwork. But is it really necessary to clean out your air ducts? Let's look at the pros and cons. I am moving into a new home. The previous owners had a dog. I am wondering if cleaning the air ducts is worthwhile. Anyone had it done? Cleaning air ducts makes a lot of sense, at least in theory. Because dust gradually accumulates on virtually every surface, doesn’t it stand to reason that it would build up to an intolerable degree in the mostly untended HVAC ductwork that runs throughout your home? Yes, air ducts get dusty. But while air duct cleaning doesn’t hurt, it doesn’t always help either. There are certainly occasions when it’s appropriate, but there are a lot of times when it’s simply not necessary. 1. In most homes, dust collects within a safe range. Your HVAC filters trap a high percentage of particles in the air, preventing them from entering the ductwork. Surely, that’s a reason to clean or replace your HVAC filters on a regular basis, but it’s not a strong argument for taking any further action. 2. 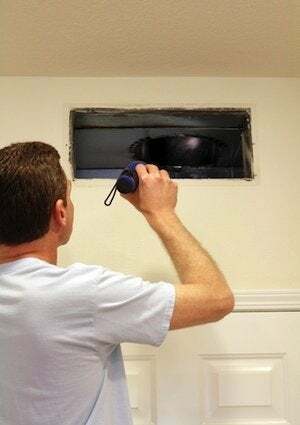 Cleaning air ducts is not a do-it-yourself job. Even if you were inclined to do it, chances are good that you wouldn’t own the right tools, such as special rotary brushes and a high-powered vacuum. You’ll need to hire professionals, and the cost isn’t low. You could end up paying $500 for work that didn’t need to be done in the first place. 3. In the course of cleaning nonmetal ducts, there’s a risk of dislodging vital connections or tearing walls. If undetected, such damage could seriously impact the efficiency of your heating and cooling appliances and let particle-laden air from the basement, crawl space, or attic enter the system. The Environmental Protection Agency (EPA) states that no evidence exists to suggest that any health hazards stem from light dust accumulation in ducts. In fact, shuffling across a carpet exposes a person to more contaminants. That said, the EPA does recommend cleaning air ducts if there is mold growth visible or if evidence points to an infestation by insects or rodents. Also, air duct cleaning may help to alleviate lingering odors caused by cigarettes or other sources. 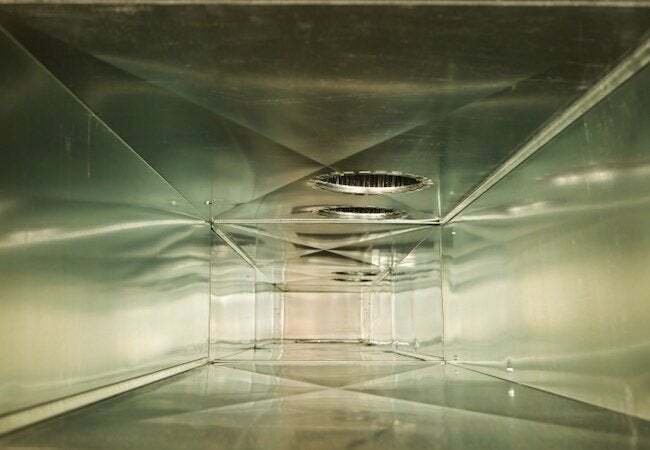 Before you contact a duct-cleaning professional for a consultation and estimate, it’s smart to do a little investigating on your own. (That way, you don’t have to take the contractor’s word for it.) Start by having a look at the duct registers or grilles: Are they discolored and coated with a fine, dark dust? If you remove the cover, reach into the duct, and wipe its sides with a damp rag, does it come out filthy? • Install filters over each of your hot air supply registers, following the manufacturer’s instructions so as not to restrict airflow. Check those filters after a couple of weeks to see what they’ve picked up. • With a general-purpose caulk, seal any gaps between the edge of the duct and the wall opening. Dust that appears to be coming through ductwork may in fact be entering through that slim sliver of a gap. • Bring in an HVAC technician to do an annual furnace cleaning. In the course of work, he will clean the furnace heat exchanger. If he finds that it’s not very dirty, in all likelihood the ducts aren’t either.